HT Gaddum Pop Shots. "Add A Pop Of Colour To Your Salon" 100% cotton towels, 440gsm, 50cm x 85cm. Range of colours include Electric Blue Navy, Cranberry, Raunchy Red, Hot Pink, Sunshine Orange, Purple Rain, Disco Jade, Bombay Blue, Juicy Lime and Mellow Yellow (Please use the drop down box below to choose your colour). Majestic Black Jacks towels Pack 12. Majestic Black Chlorine Resistant Towels Pack of 12. 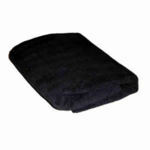 Direct Salon Supplies Microfibre Black Towels Pack 12. Microfibre towels are more absorbent than normal cotton one, they are quick drying, will not pull or snag, hold there colour and won't fade making them perfect for any hair salon or beauty studio. 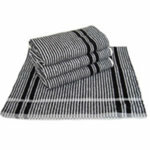 Direct Salon Supplies Microfibre White Towels Pack 12. Microfibre towels are more absorbent than normal cotton one, they are quick drying, will not pull or snag, hold there colour and won't fade making them perfect for any hair salon or beauty studio. 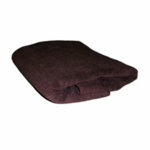 Direct Salon Supplies Microfibre Bitter Chocolate Towels Pack 12. Microfibre towels are more absorbent than normal cotton one, they are quick drying, will not pull or snag, hold there colour and won't fade making them perfect for any hair salon or beauty studio. 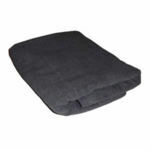 Direct Salon Supplies Microfibre Pewter Towels Pack 12. Microfibre towels are more absorbent than normal cotton one, they are quick drying, will not pull or snag, hold there colour and won't fade making them perfect for any hair salon or beauty studio. 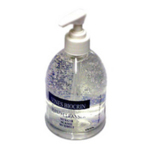 Vines Biocrin Anti Bacterial Hand Cleanser. Cleanses and freshens hands without soap, specially formulated for salon use. Kills germs within seconds. Comes in 500ml Pump Dispenser. 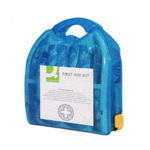 Direct Salon Supplies First Aid Kit, meets the minimum Approved Code of Practice (ACOP 3). 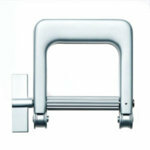 Comes in a translucent box with handle and integral wall mounting bracket. Sizes: W270 x D102 x H290mm. Pollie Pop Up End Papers Pack 20. Pink plastic arm band for pollie tissue end papers. 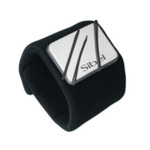 Comfy, Magnetic Bracelet handy for pins, grips, clips etc. Anti-slip mats suitable for all surfaces, easy to cut to size. Size Width 29.5cm, Depth 19.5 cm. Size Width 40cm, Depth 33cm. High quality rubber bristle broom. 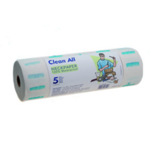 Ideal for brushing both wet or dry surfaces. Telescopic handle extends up to 130cm. Silver and Blue. Sibel Lacquer Shield is elegant and almost unbreakable with rubber handle and chain for hanging up. 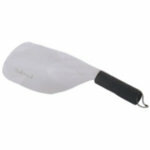 Soft Neck Tray Black The Professionals choice for perming. Proclere Wipe Out Moistened Wipes. 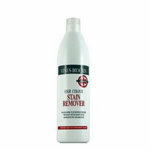 Pack of 20 gently removes hair colourant stains from the skin. 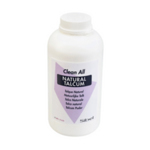 Large Natural Unperfumed Talcum Powder 600gr. 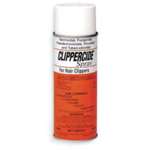 Especially for hairdressing soothing, absorbing excessive humidity longer action. Clean All Mirror Clean 500ml. Professional non-streaking cleaner for mirrors and styling stations. Vitalitys Art Color Off. The safe way for colour removal. Partial or Full Head. 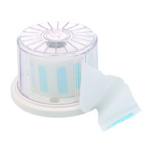 Essentials Disposable Shoulder Capes Pack 100. Available in Pink, Grey, Black or White (Please use the drop down box to choose your colour choice). Disposable Polythene Gloves Pack 100. 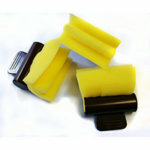 Contains 6 neutralising sponges with a detachable / re-usable handle. 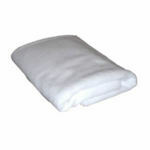 Neck Cotton Wool, Large 4lb, Small 2lb or Twin 1/2lb Roll Pack(please use the drop down box to choose). One For Me nylon Ruched slumber nets 5 pastel shades box of 48. 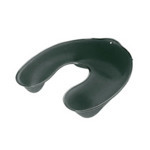 Hairdressing foam protective ear shields pack 20. Direct Salon Supplies Black rubber bands box of 500. Direct Salon Supplies multi-coloured elastic bands, box of 500. FHi Hot Sauce Thermal Heat-Activated Conditioner 50ml. This heat-activated conditioner is the most innovative way we can use heat and keep hair healthy, supple and glossy. The exclusive Jojoba Crystal Formula, when used in conjunction with thermal styling stools, penetrates deep into the hairs follicle, repairing and conditioning damaged hair. HOT SAUCE leaves no build up or surface residue. Available single at £6.99 or retail counter pack of 18 at £94.99 (Netting to £5.27 each, retail to your customers for £9.99 each), (Please use the drop down box to order). Heavy duty metal tube squeezer.